SHAKTIMAN Mechanical Seed Drill is suitable for the seeds and Fertilizer. Seeding to be use likes Wheat, Rye, Lucerne, Rice, Oat, Peas, Barley, Soya, Red Clover, Darnel, Colza, Mustard, Maize…etc. The amounts for distribute of Seeds & Fertilizer are regulated through gear that drives it motion from movement of the wheel by traction. 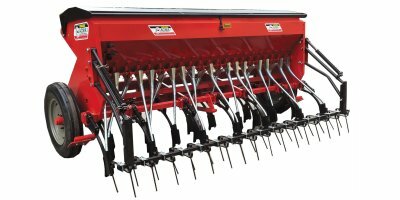 Mechanical mounted seed drill with discs from 2,5m. to 4m. High capacity hopper version (GC). 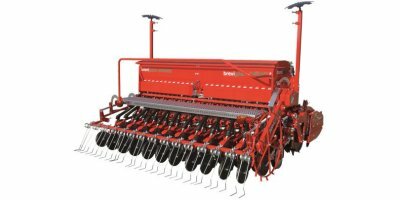 Mechanic seed drill with 4m working width and 3m transport width. Patented telescopic folding system. 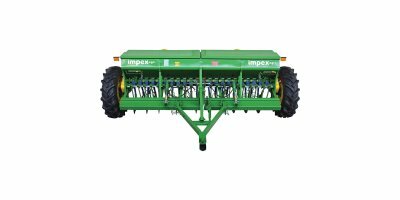 Hopper capacity: 2400 L. Ideal for low-power tractors. 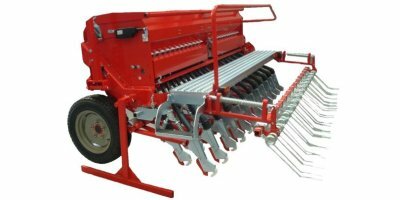 ARIZONA KOMBI is a mechanical seed drill for cereals and small seeds with fertilizer. 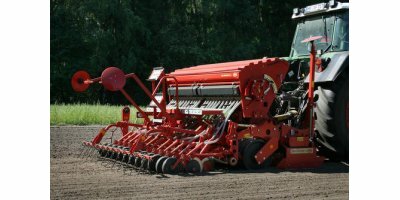 It’s a combined mechanical seed drill to sow and fertilize at the same time thanks to the special double hopper and to the double row of distributors operated by two gears with oil immersed cam system. 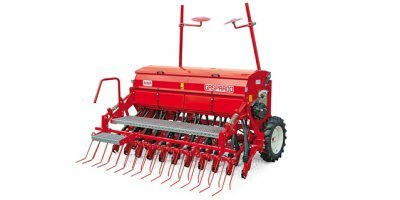 MECHANICAL SEED DRILL, TRANSPORT WIDTH m 2.50 / m 3.00 / 4.00 m (cereal- colza) . The model NINA features seed distribution by gravity. It is simple to use, reliable, sturdily built and requires very little maintenance.This model is suitable for 60 to 100 HP tractors. Model ENERGY is built for hard ground and uncultivated with sturdy frame and mechanical distribution. 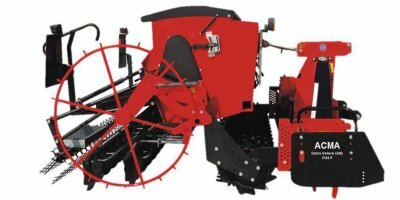 The mechanical seed drill BEST is available in different working widths from 2.5 to 3m. The connection of the coulter bar to the roller ensures uniform deposition even on very uneven or hilly. The inclination of the pipes allows descent of the seed sowing even on steep slopes. Our mechanical sowing machines, universal type are produced cotton (hairy and glabrous), corn, peanut, sunflower, soya, beans, etc. It serves the sowing of seeds in a comfortable way. Maintenance-free is a machine. It is a lower version of pneumatic drills. By CANSA Agricultural Machinery based in Ceyhan, TURKEY. 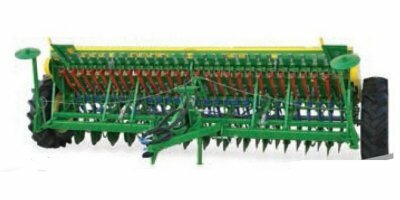 The Saphir 8 is identical to the Saphir 7 mechanical seed drill except that the seeding shaft is electrically driven giving in-cab control of seed rate. The Saphir 7 mechanical seed drill offers medium-sized farms a reliable, high performance drill to meet high work demands during busy periods. 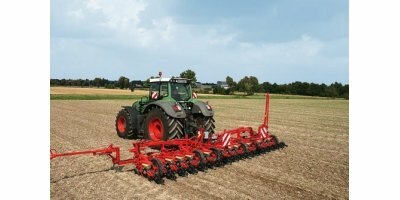 The Saphir is versatile and can be combined with a variety of implements, such as the Zirkon power harrow or the Quarz compact cultivator, to gain optimum operating efficiency.